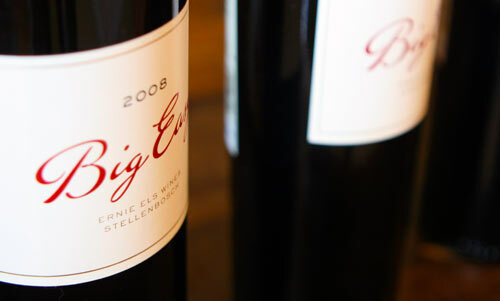 It’s not often that you see golf and wine mixed together, but outside Stellenbosch in the Greater Simonsberg region, Ernie Els has mixed the two with his Ernie Els Wines. Established in 1999 and completed in 2004, it’s a 72 hectare estate crowned by a hill upon which the winery sits and has a commanding views of the hills around it. Ernie has apparently always been a wine lover and it shows in the wines. The overall design to the winery and tasting room is very classy, but much like Francis Ford Coppola’s eponymous winery there are certain, oversold elements to it that come off a bit Starbuckish. That aside, they are producing some great wines at this winery.